As California battles the worst drought in the state's history, the question of landscaping has become increasingly worrisome. Some homeowners are resorting to painted lawns, while other members of the elite are unabashedly ignoring the crisis. Some people might think that replacing lush, green grass with drought-tolerant landscaping will look ugly, but we'll show you that's not the case. 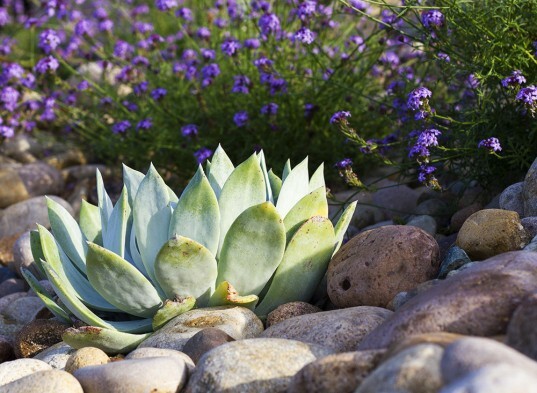 Check out these 7 examples of just how attractive, and colorful, xeriscaping can be. California, along with much of the western United States, is currently in the throes of a severe drought. Mandatory water restrictions are currently in place in many cities and towns, limiting irrigation and lawn watering. 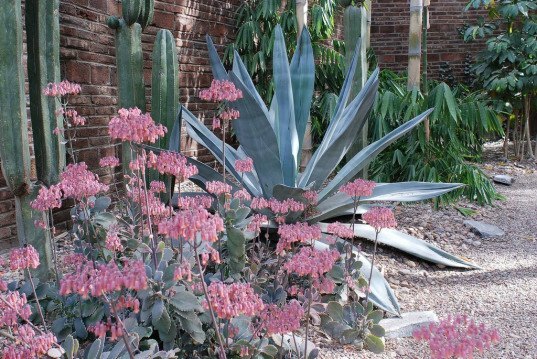 One plant you can try in your new drought-friendly landscaping is the agave (above). 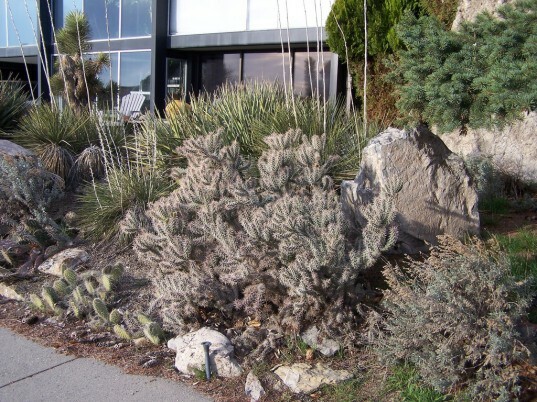 There are many beautiful, decorative varieties of this tough desert plant that will thrive in residential settings. Lately, many futuristic proposals have been shared to address the drought, including those aiming to harvest water from fog. However, using less water in the first place is the simplest step with the greatest impact. With no rain in sight, it’s a great time to consider alternative, low-water landscaping options to replace lawns and gardens, especially in residential areas, roadway medians, and suburbs. One great option if you live in a hot, dry area is to create a cactus garden. This University of Arizona care guide demonstrates that cacti may only need to be watered once a month once the plantings have taken root. Landscaping with low water requirements in mind is where xeriscaping comes in. 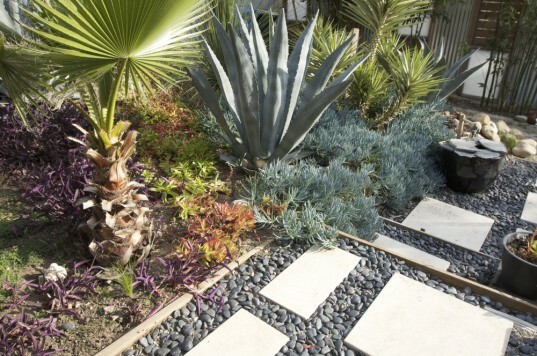 This is a form of landscaping that uses little water, uses drought-tolerant decorative plants, and also replaces thirsty lawns with low-maintenance gravel and stone. In hot, dry areas like the southwest United States, the focus is often on local native plants that naturally thrive in arid environments. You can walk around the natural areas near your home to see what plants thrive in your environment–like the prickly pear, above–or stop into a nursery where experts can help you find native plants suitable to your locale. Even in the absence of a drought, xeriscaping is a more environmentally sustainable option in the long term, especially if you live in an area that is naturally dry. If you live in such an area in the western United States, you’re probably already familiar with the dusty green fronds of sagebrush. One of the many sagebrush varieties can be another great plant to include in your xeriscape, and it has the added benefit of producing a soothing aroma. Succulents, cacti, yucca and agave are all gorgeous low-water desert plants that thrive in xeriscapes. Even decorative accents like stone, gravel, and rocks form part of the austere beauty of a xeriscaped “lawn”. Using permeable surfaces like gravel not only reduces the need to water grass, but also allows scarce rainwater to filter down and re-absorb instead of running off into storm drains like it would on a concrete surface. 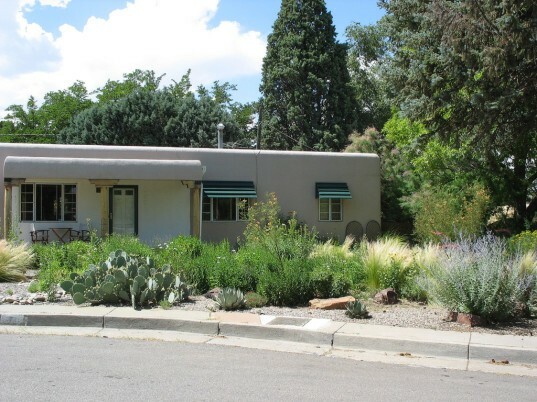 You can even try xeriscaping in an urban environment. Potted cacti and succulents can thrive on a sunny stoop or balcony and require little attention. In addition, you’ll need much less water to provide for the small surface area in pots. Some low-water varieties that do well in pots include succulents, cacti, Mediterranean herbs like lavender and rosemary, and the agave. 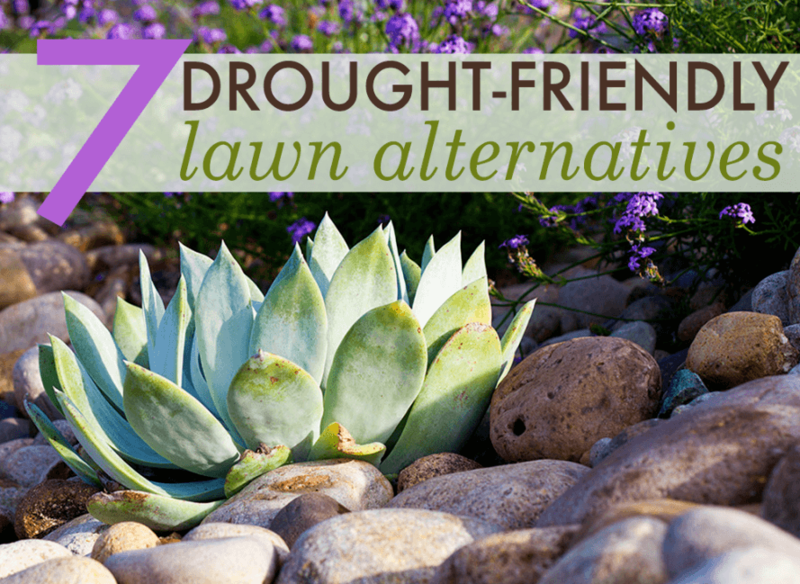 Drought-tolerant plants and landscapes are also easy to maintain. In addition to low-water requirements, there isn’t any mowing to do or leaves to sweep up. Try planting a gorgeous arrangement of succulents, then place stones around them and water infrequently. Some people worry that replacing lush, green grass with drought-tolerant landscaping will look ugly, but we'll show you that's not the case. California, along with much of the western United States, is currently in the throes of a severe drought. Mandatory water restrictions are currently in place in many cities and towns, limiting irrigation and lawn watering. There are many futuristic proposals which aim to create more water from fog, seawater, and more. However, using less water in the first place is the simplest step with the greatest impact. With no rain in sight, now is a great time to consider alternative, low-water landscaping options to replace lawns and gardens, especially in residential areas, roadway medians, and suburbs. That's where xeriscaping comes in--a form of landscaping that uses little water, drought-tolerant decorative plants, and also replaces thirsty lawns with low-maintenance gravel and stone. 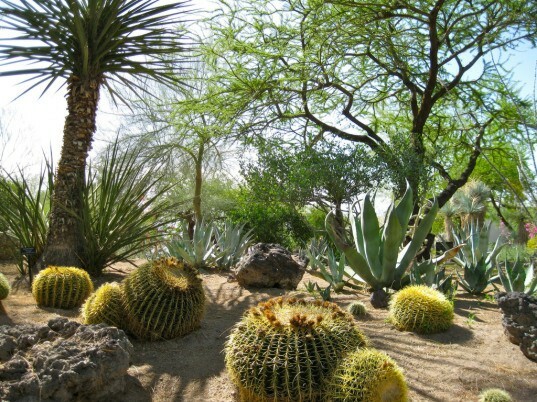 In hot, dry areas like the desert, the focus is often on native plants that naturally thrive in arid environments. Even in the absence of a drought, xeriscaping is a more environmentally sustainable option in the long term, especially if you live in an area that is naturally dry. Succulents, cacti, yuccas and agaves are all gorgeous low-water desert plants that thrive in xeriscapes. Even decorative accents like stone, gravel, and rocks form part of the austere beauty of a xeriscaped "lawn". 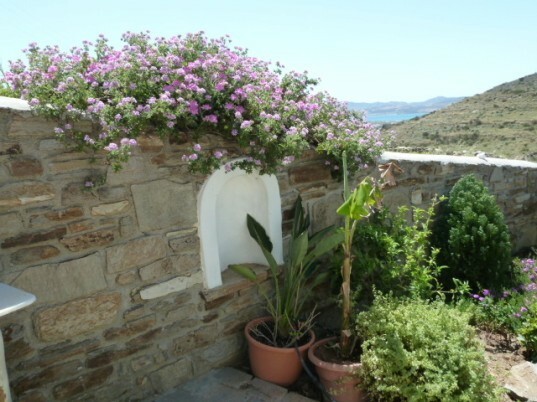 You can even try xeriscaping in an urban environment. Potted cacti and succulents thrive on a sunny stoop or balcony and require little attention. Drought-tolerant plants and landscapes are also easy to maintain. In addition to low water requirements, there isn't any mowing to do or leaves to sweep up.